1. Editing is the final stage of the writing process. It involves the detailed inspection of a text with a view to regularizing its spelling, punctuation, grammar, and even typographical layout. In the world of publishing, this stage is called ‘proof-reading’. It is the point at which you check that all your details are correct, and you examine the document very closely for internal consistency prior to releasing it into public view. 2. The degree of editing you need to perform on your writing will obviously depend upon the nature of the communication. Few of us would think of editing a letter to a close friend; but if you are writing for the public you will need to take more care. A manager preparing a sales brochure, or the directors of a company producing an annual report will need to make sure that their work is carefully edited. Any mistakes or infelicities will create a bad impression. Close editing is called for. 3. In many forms of professional writing the editing may be done by someone other than the original author. Newspaper reporters often have their work ‘subbed’ (sub-edited) by someone close to the final production process. Book authors too often have their work examined by professional text editors. This is not because reporters and novelists lack writing skills, but because publishers of books and newspapers usually want to control the appearance of work which appears under their imprint. 4. This sort of editing in fine detail is quite an advanced skill. That is why publishers often employ professional text editors: they do not expect even fairly successful authors to pay such a degree of detailed attention to their texts. 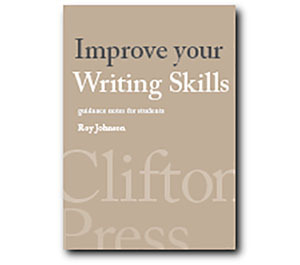 [Famous writers such as James Joyce and Virginia Woolf for instance made spelling mistakes in their manuscripts.] However, even though it is an advanced skill, many people can easily improve the quality of writing they release into public by paying closer attention to details. It is a useful skill which is well worth developing. 5. 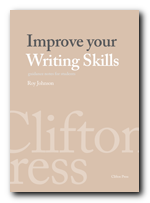 So, the degree to which your text needs to be closely edited will depend upon the nature of the of writing, as well as the audience for which it is intended. If you are a student producing a coursework essay, your tutor will welcome finely-tuned work, but if you make a small mistake you will not lose marks. Learning from your errors is after all part of educational process. If on the other hand you are designing a brochure which advertises products for sale, it is very important that all the details are absolutely correct. One digit wrong in a telephone or fax number, and the business will be losing sales [I speak from painful experience]. Similarly, if you were responsible for preparing a company report, the slightest grammatical error would create a very bad impression. What might be tolerated in one form of writing might not in another. 6. In one sense, the final stages of text-editing are a check to see that you have applied the suggestions made in all the other sections of this book. You are making sure that the text contains no mistakes, and that the writing is presented in a regular and consistent manner. You might wish to first check the more obvious features of spelling, syntax, grammar, and construction. Then the last stage of editing can be devoted to those details of typographical presentation which are commonly the province of a text editor. 7. If you are working on a long piece of work it may be less tiring to edit in a series of stages, each one of which is devoted to a different topic. For instance you might first read through the work checking the spelling, then go through it again looking at the layout. A subsequent reading might be devoted to checking any factual details – and so on. Reading through work of any length trying to keep all these issues in mind at the same time requires intense concentration. It is much simpler and less exhausting to deal with one issue at a time. 8. If you are in any doubt, use the following checklist. Of course if the document is very long, or if you are pressed for time, you may find it necessary to check a number of these items at the same time. A dissertation of 20,000 words or a thesis of 80,000 plus might require this. If necessary, check through the appropriate sections of these notes to remind yourself what to look for.